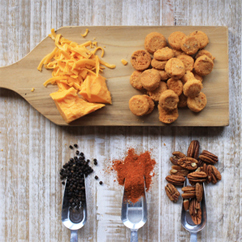 Stepping briefly away from the sweetness and entering the world of savory delights. 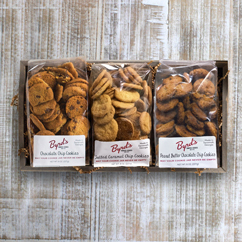 Take a tour through the world of sumptuous cheddar with our Savory Trio Cookie Tray. 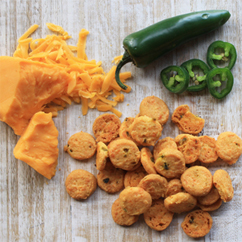 Our mildly spicy, devilishly delicious Jalapeno Cheddar Biscuits are flanked on either side by our wildly popular, bursting with fresh Georgia pecans, Cheddar Pecan Biscuits. 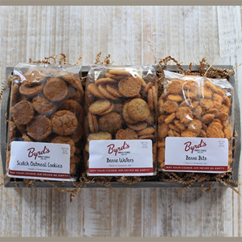 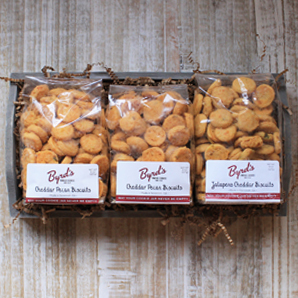 Add a little zip to your cocktail platter with Cheddar Biscuits from Byrd's Famous Cookies. 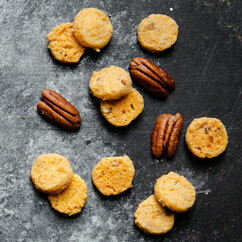 We recommend nibbling these delights with your favorite glass of wine at your next happy hour!